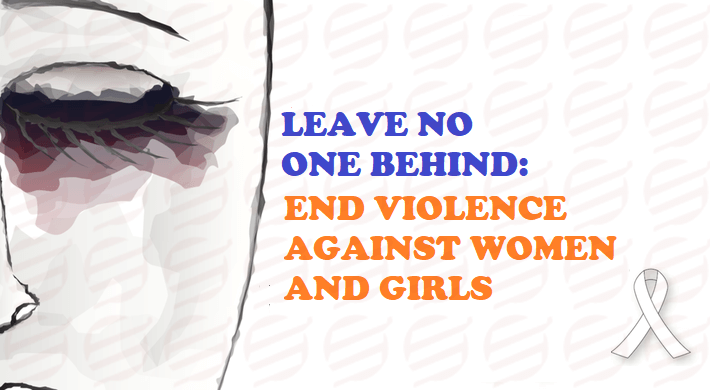 November 25 marks the International Day for the Elimination of Violence against Women. The most alarming and staggering outbreak of the globe is that 1 out of 3 women face physical and sexual abuse during their lifespan. It is surely the biggest and the most terrible breach of the rights of women and girls around the world. Let’s apprehend the words of UN Secretary-General, António Guterres about International Day for the Elimination of Violence against Women. He says “Not until the half of our population represented by women and girls can live free from fear, violence and everyday insecurity, can we truly say we live in a fair and equal world,” this statement clearly signifies that there is a long way to make the present scenario better for the women. Lots of efforts are still to be made to diminish the horrible act of violence against women. Orange is considered to be a unifying color in all the activities related to the commemoration of this day. Orange color exemplifies bright and happy future that is free from all types of injustice and violence against the women. In this regard the campaigns and events will be showcasing their activities with a usage of this color in numerous forms. #HearMeToo carries out the soul shrilling experience and voices of such women who suffered and survived the horrible violence at some point in their lives and now uniting together to safeguard the rights of women. Women who are now in charge and taking actions to diminish the violence cannot be seen coming to the limelight. They do not have any connection or contact with media. On this day we will be hearing their stories which have never been heard earlier on social media or newspaper. How can one define violence against women? There are merely 52% of women who can make their choice and decision related to sexual relation, health and usage of contraception. Nearly 750 million girls around the world were prone to child marriage. This means that they were married before they turned 18. All over the world 200 million women and girls goes through the pain of female genital mutilation. The percentage of women and girls worldwide that are gripped in human trafficking is almost 71%. As per the reports in the year 2012, 1 out of 2 women killed by their partner or his family. To end such violence and discrimination against there is a hefty need of unity and personal efforts from each one of us. It is the high time to raise a voice and put the bar of violence down. The scenario cannot be improved if we just sit and talk about it, the need of the hour is to take action. Initiatives must be made from everyone so that there is no space left for such ill practice. It is our duty to aware the women of all class of her rights.